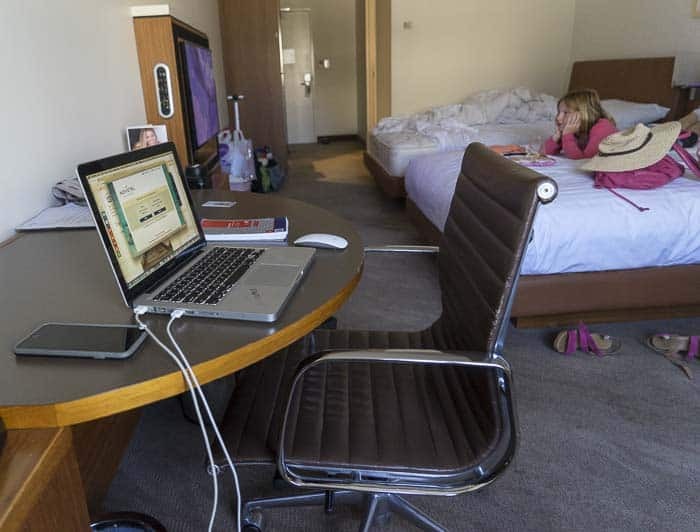 Now, if you’re looking for a family-friendly hotel in Canberra, could we recommend the Novotel? 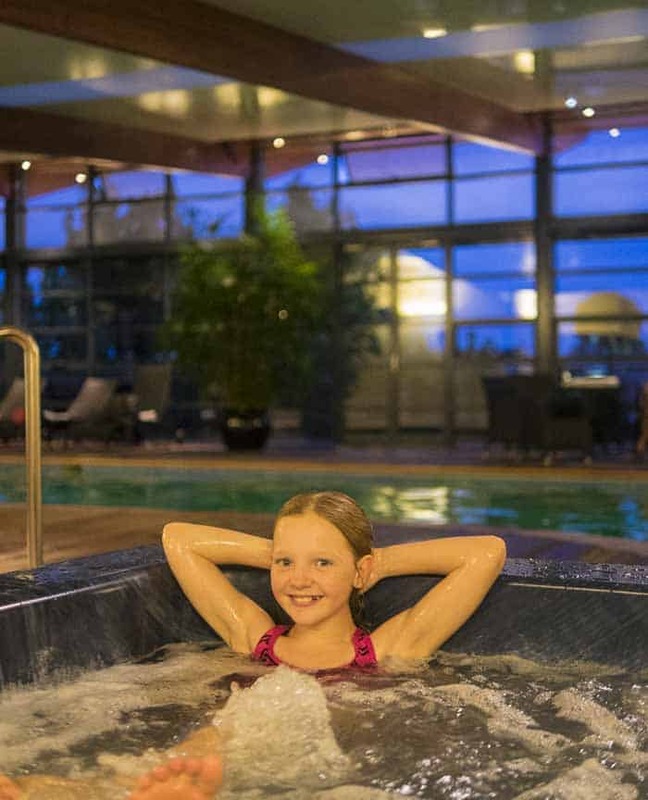 For many children, the number one attraction of the Novotel is it’s pool, and bubbly spa. My daughter certainly leapt joyfully into both when we visited recently. A big plus for me was that there’s also a sauna on the poolside. A rare treat! Another major pull of the Novotel is that it’s so very central. 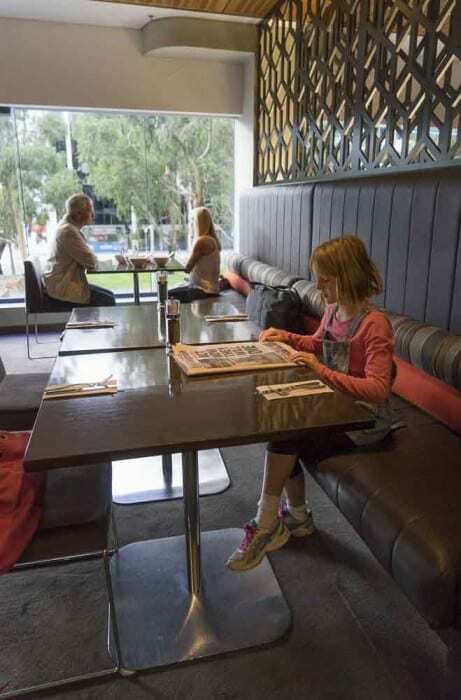 It’s at the end of Northbourne Avenue, right beside some great cafes and restaurants and the large Canberra Centre, great if you want to go shopping. Everywhere you want to visit it just a quick drive or a even a walk away. 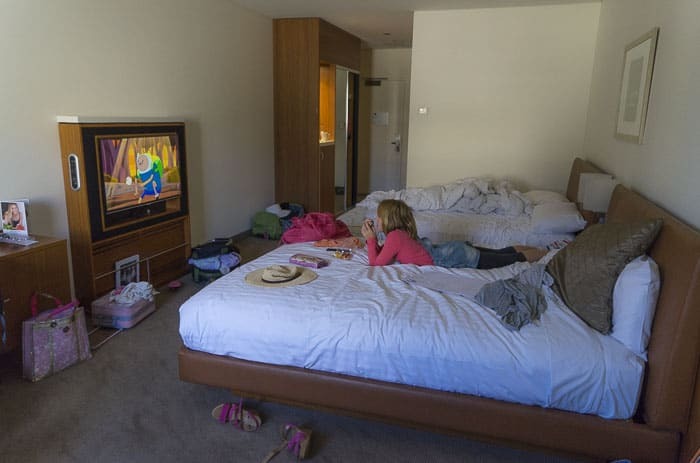 Ms9 and myself and our good friend Susie stayed in a standard room with two double beds. There was plenty of space for us all, and a desk for me to work at my laptop too. There weren’t any good views from the window but we could live with that as we were out and about (or in the pool) most of the time. 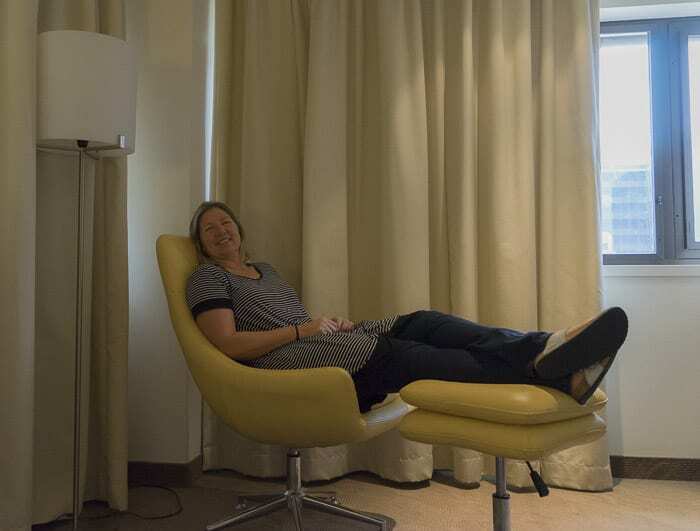 We did love the groovy chair and foot stool by the window, excellent for chilling. 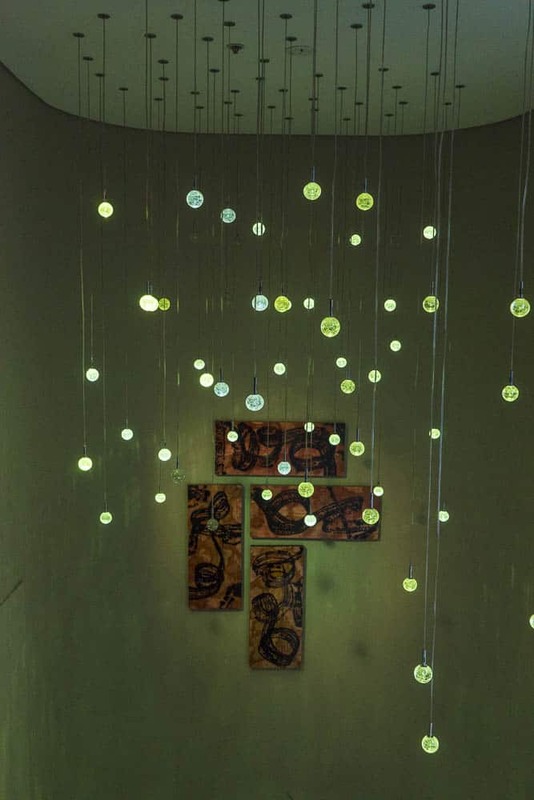 Love the lights in the stairwells. 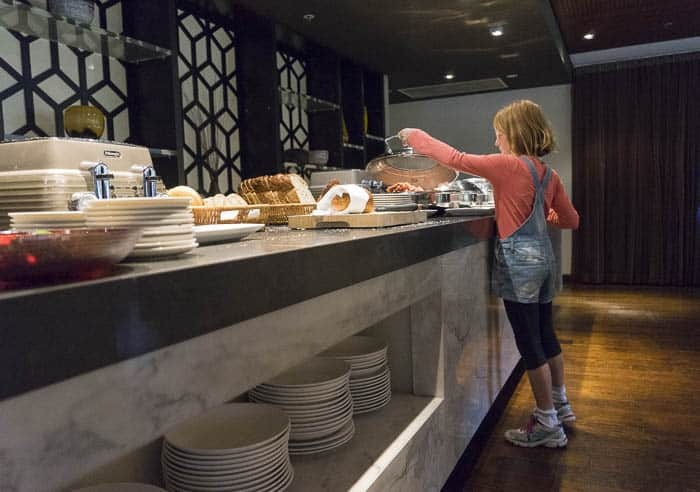 The One Restaurant at the Novotel serves breakfast, lunch and dinner. It looks over busy Northbourne Avenue and has an urban decor that suits its location well. We ate one dinner at One Restaurant as well. 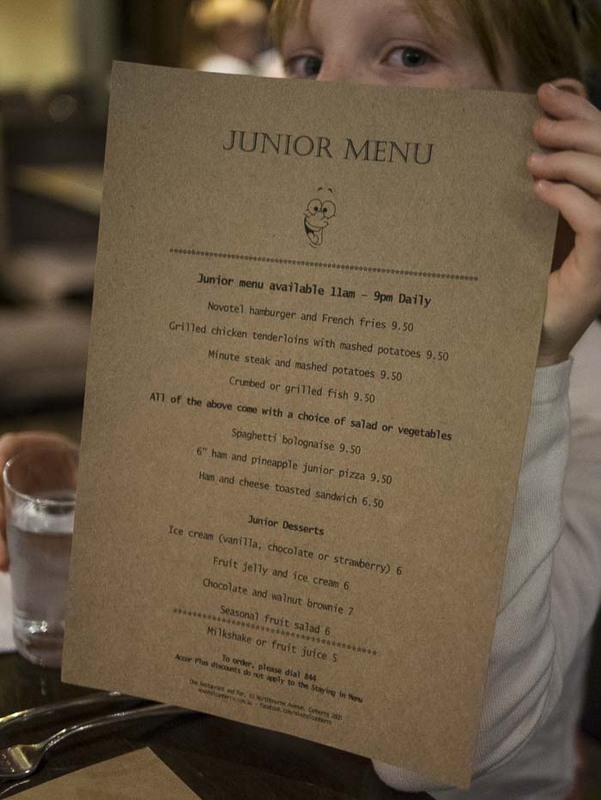 The kids menu is very good, I think. 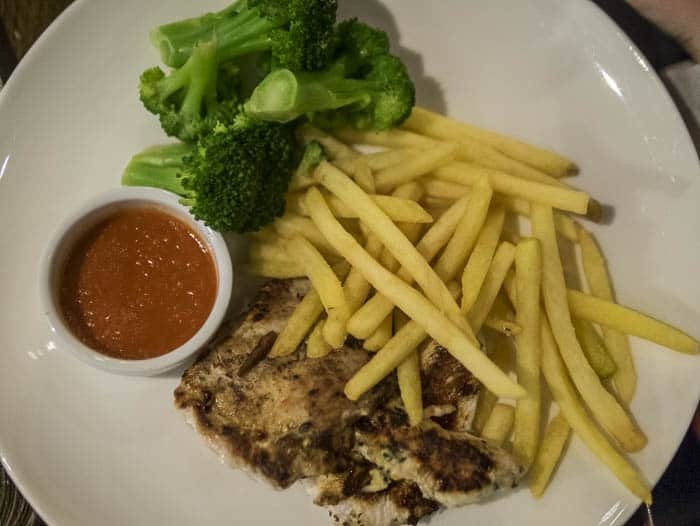 The Novotel chain does make a big effort to serve healthy meals throughout its food outlets. Well, they try… my daughter swapped the mashed potato on the menu for chips. Parking: It took us a while to find the car park which is entered from Moore Street behind the hotel. It’s fairly small and busy and the cars are valet parked. Parking costs $20 which is very reasonable for this super central location. Movies: There were no movies available for rent when we stayed, and that was a pity. PS As ever, I do recommend calling any hotel ahead to check that all facilities will be operational during your stay. Pools do close for maintainence sometimes. What are your top tips to other families? Disclosure: We stayed as guests of Novotel and thank the hotel very much for its hospitality. This post contains affiliate links. If you click them, we may get a small commission for your purchase at no additional cost to you. 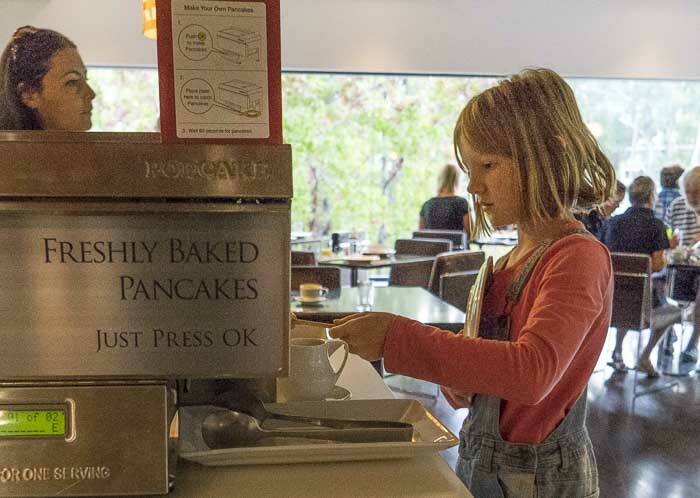 The kids menu is well priced for Canberra! When we were down there recently and so many kids menu items hovered around the $15.00 mark and that didn’t include anything…makes for an expensive night out. Yes, and very annoying if they don’t eat it all too. Was a good spot and I will get back to Canberra later in the year I hope. 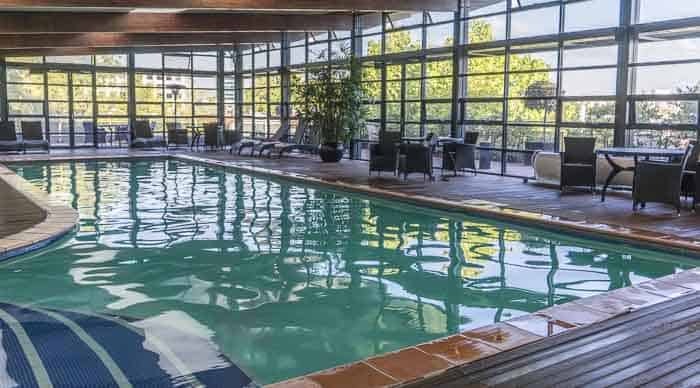 I agree, the pool and facilities for the kids is the first thing I look at when I select a hotel. 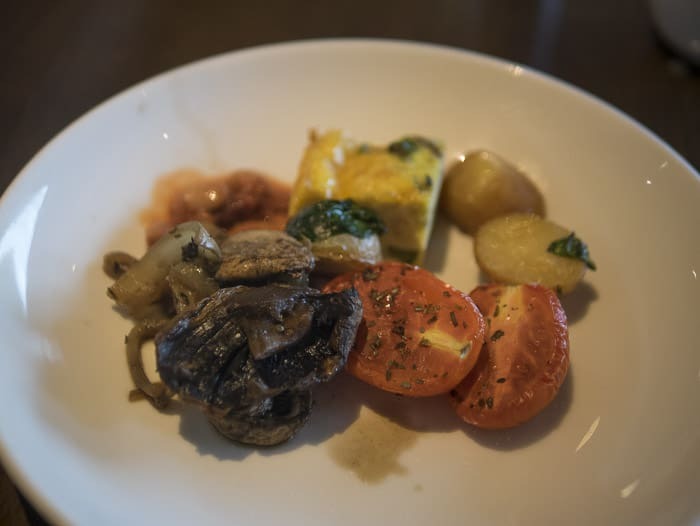 From memory the Novotel chain started working with a dietician about 10 or so years ago and introduced healthy meals. I remember it was such a big relief to me. I loathe kids menus and at that time I used to split an adult meal for my two sons. Thankfully times have changed now and my other two little children get a much better selection.